Nominated for toy of the year 2016, the top-selling sky Viper drones from Skyrocket Toys continue to deliver hobby-level performance at a great value. New sky Viper drones are even easier to fly with new viper flight firmware & Auto pilot features never before seen in a toy drone. With just a touch of a button, you can now Auto launch & land, Auto hover & use altitude control to move up & down in pre-set increments. Due to their light frames, sky Viper drones do not require FAA registration. 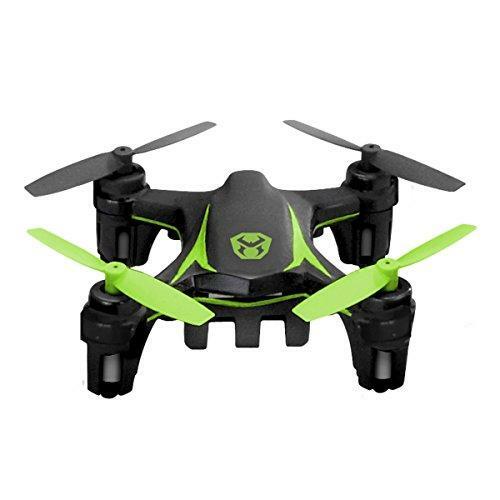 Sky Viper drones have extreme performance capabilities, exciting one-touch stunts, 6-axis digital stabilization, Super tough durable body, removable blade guards and variable modes of flight sensitivity, so they are as much fun for novice Flyers as they are for drone enthusiasts. This 4th generation m500 Nano drone is updated with all new flight assist features, including: Auto launch, Auto hover & Auto land. These features leverage avionics technology for performance, precision and stability to make learning easy. This palm-sized drone is perfect for indoor flying but also sturdy enough to take to the sky. Perform one-touch stunts like left & right barrel rolls and flips in four directions. Choose manual altitude for complete control of stunt maneuvers or Auto hover for hands-free altitude control. Sky Viper engineers have created viper flight, a state-of-the-art technology that makes sky Viper drones incredibly stable, fast and easy to control. Micro size meets major performance with the m500 Nano drone. It’s small enough to fit anywhere and smart enough to fly everywhere! Skyrocket Toys is a leading designer, manufacturer & marketer of a wide variety of consumer products, including toys, drones, bicycle accessories & sporting goods. The Company creates & distributes innovative, technology-driven products that are sold under major licenses, as well as propriety brands such as fuze, real cooking, prank Star and sky Viper.